Looking for a Used Escalade ESV in your area? CarGurus has 7,201 nationwide Escalade ESV listings starting at $2,995. After introducing the Escalade ESV Platinum Edition trim in 2004, Cadillac's full-size SUV still had its owners living large in 2005. Cadillac made some cosmetic changes to the model, including touch screen capability on the navigation system, refurbished instrument panels, and wood trim in the interior. Otherwise, not much changed for the widely-recognized status symbol. The 2005 Cadillac Escalade ESV comes in two trims: ESV and ESV Platinum Edition. The difference? As you might guess, the Platinum Edition gives you extra luxury, including standard sunroof and navigation system. Expect to get 13 mpg in the city and 17 on the highway. Finally, you'll have the capacity tow around 7,600 lbs. on average between the 2 trims. The pros and cons associated with the 2006 Cadillac Escalade ESV remain relatively consistent with other editions of the Escalade. On the positive side, drivers like the roomy interior, style, and power. On the negative side, drivers will find the Escalade ESV's thirst for gas rather expensive to quench. In addition, the SUV's bulky frame makes it tough to navigate narrow residential areas. Keep all that in mind and this highly-desired showpiece won't disappoint you. 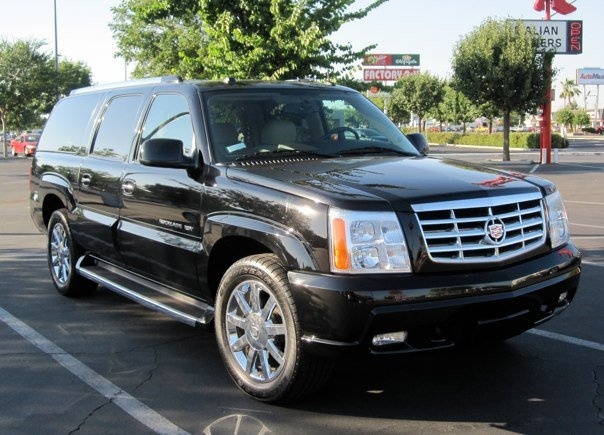 What's your take on the 2005 Cadillac Escalade ESV? 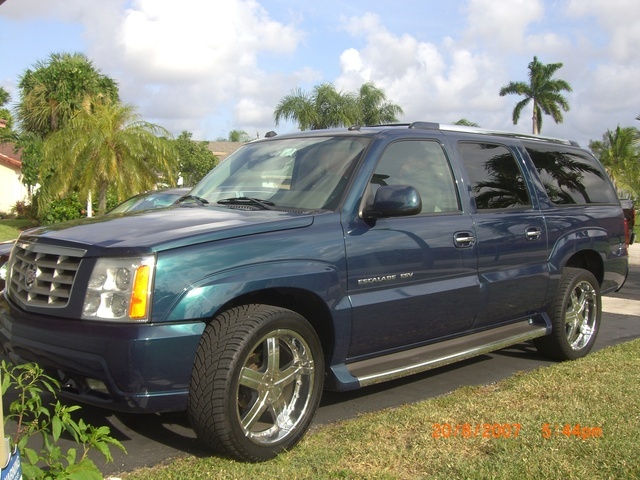 Have you driven a 2005 Cadillac Escalade ESV? I have a 2005 Escalade ESV the passenger cup holder is stuck on heat.Any clue which fuse it is ?I would assume the switch needs to be replaced. Just looking for a temporary solution. Escalade Blues Oil Pressure Escaping!